Blizzard Battle.net Desktop App (or unofficially called Blizzard launcher, Battle.net app, etc) is a Blizzard all-in-one desktop application that allows you to easily access and play all your Blizzard games in one place; get premium games, expansion and in-game goodies; or even always keep in touch with your fellow gamers and discuss strategies in groups while playing. World of Warcraft; Overwatch; Diablo III; StarCraft II; Hearthstone; Heroes of the Storm; also includes Activision games like Call of Duty: Black Ops 4 and Destiny 2. 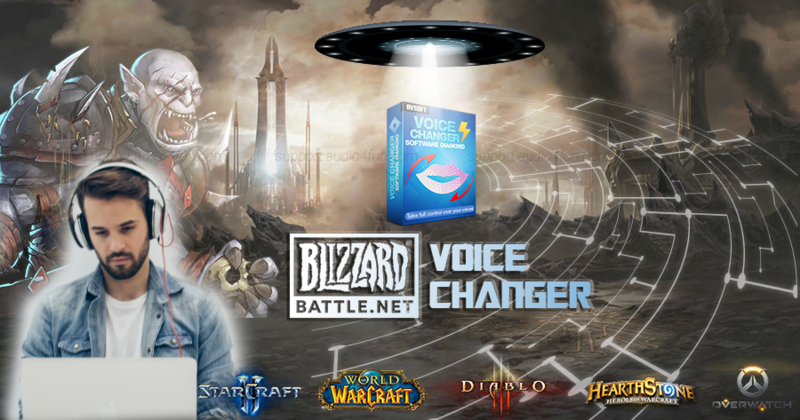 © All rights reserved to Blizzard Entertainment, Inc.
Read on for how to connect AV Voice Changer Software Diamond 9.5 (VCSD 9.5) to Blizzard cross-game voice chat service so that you can completely live in your World of Warcraft, Overwatch or Diablo characters. - Go to VCSD 9.5's main panel, choose the morphing effects and make adjustments until you are satisfied with your vocal output. There are several ways to change your voice, including voice morphing and audio effects. » Check out our Add-on store to download FREE cool audio effect packs, updated regularly. 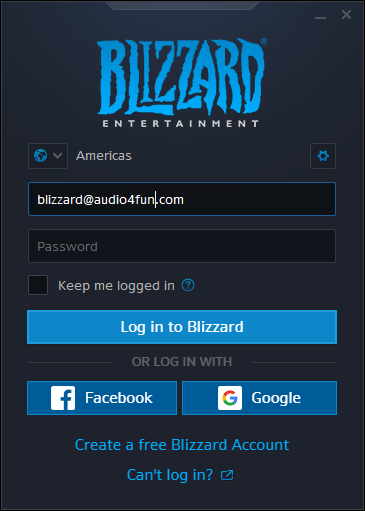 - Launch Blizzard Battle.net Desktop App » Log into your Blizzard account. 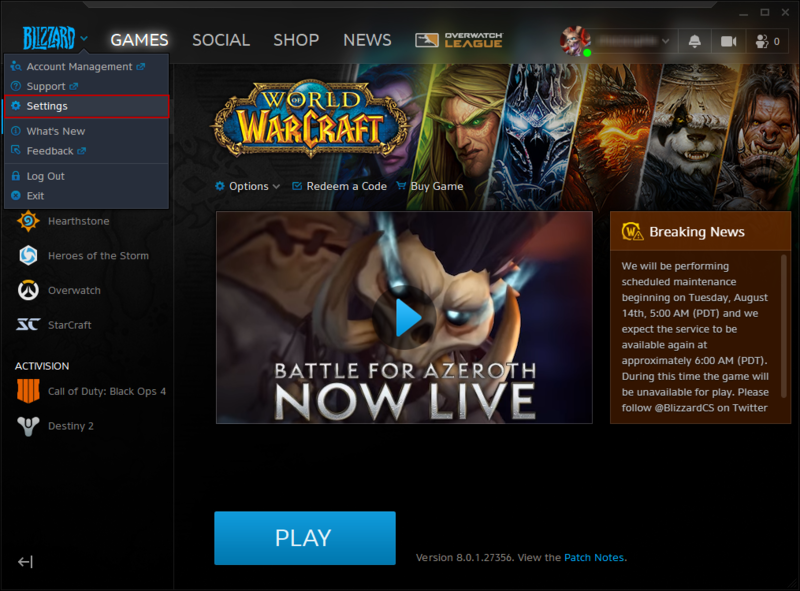 - On the main interface, drop down Blizzard menu » Choose Settings. 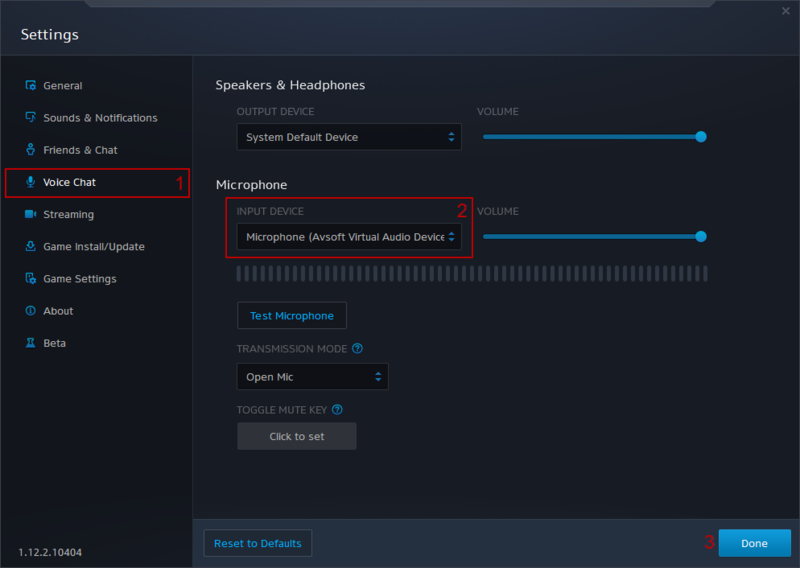 - When Settings window open, select Voice Chat (1) category, then set Microphone (Avsoft Virtual Audio Device) (2) as the input device. - Click Done (3) when finish. From now on, VCSD 9.5 will serve as the main microphone in Blizzard and your voice will be auto morphed. And that's all. Now you can surprise your friends on Blizzard with strange voices. Have fun! Note: Please notice that as long as VCSD 9.5 is ON, the morphing effects will be applied to your voice automatically. To be back to normal instantly, you will just need to turn the voice changer software off.